This weeks bake is doughuts. I have always wanted to make these but i have never had the chance as when i say I’m going to bake them I have to wait till Mam is at home as you need to cook doughnuts in boiling oil and I think leaving me alone with that would be a big mistake especially as I was a disaster with the blow torch. 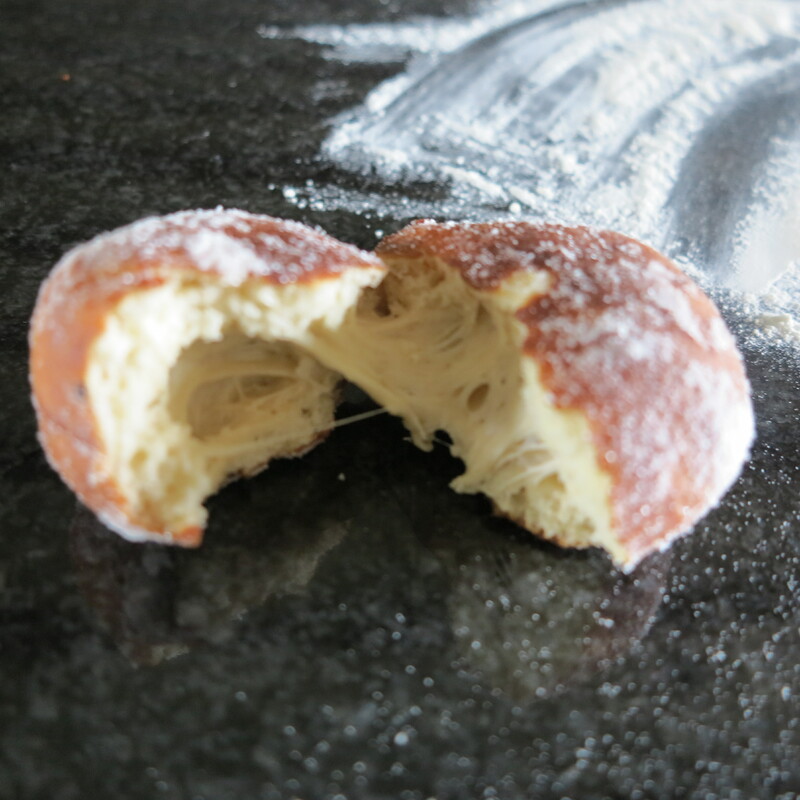 Having made my dough which had risen nicely and made the chocolate custard filling I was really happy with what I had done so far, Then it came to cooking the doughnuts and this was a complete nightmare. unknown to me I had my oil too hot which meant the doughnut was cooking very nicely on the outside but the inside was still raw. I didn’t know this until after I had let them cool and rolled them in sugar. When it came to cutting the doughnut I realised they were still raw inside. So i thought i would just put them back into the oil for them to cook more. As you can imagine this did not make the situation any better as I was now left with caramel covered doughnuts that were raw inside. 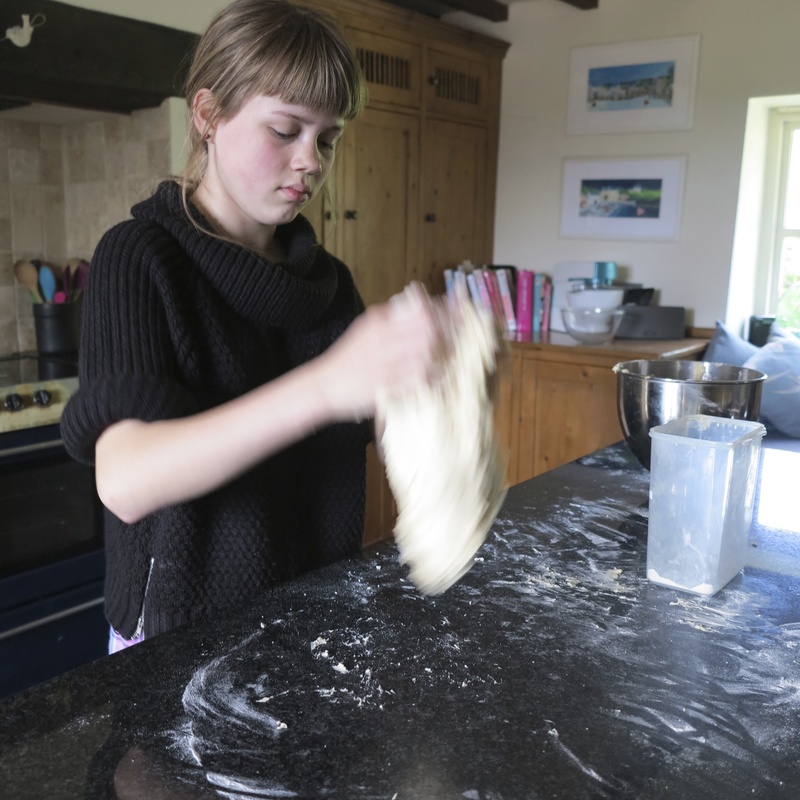 so I decided to start all over again and remake my dough. 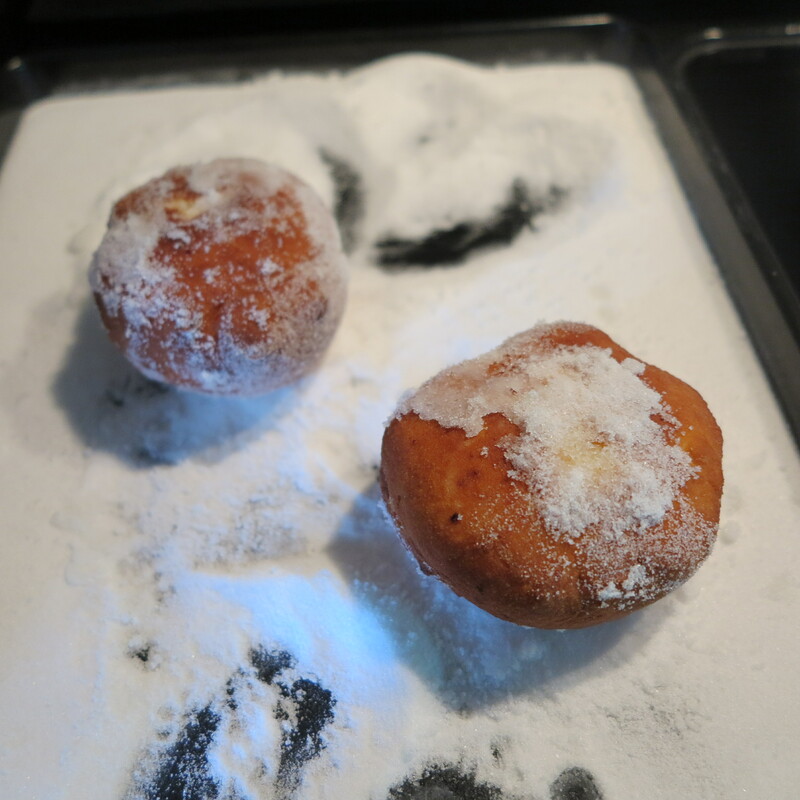 Having made some properly cooked doughnuts I then went onto to fill them which led onto the next problem which was my piping. 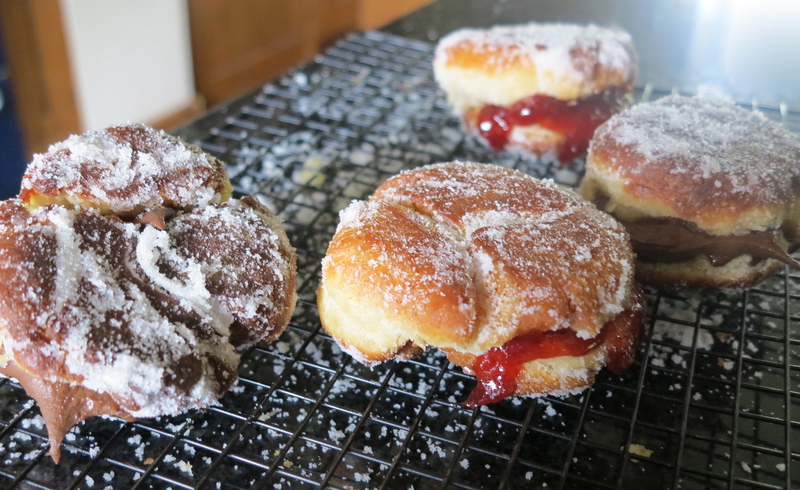 When I tried to pipe my jam and chocolate custard into the doughnuts they kept splitting apart and my filling went everywhere so in the end I was left with just four doughnuts that that were just about doable. I wanted to do this bake for ages and although I had to start again I still had fun and it was worth it because they tasted yummy and I would definitely make them again.